A pulverised and composted bark created from mixed conifer species. Suitable for mulching where it is an ideal dark rich mulch for borders and rose beds. Used to create a pleasing contrast between green foliage and flowers whilst at the same time giving economy through its weed suppression characteristics. The product also helps to protect against adverse weather conditions in that it allows the soil to retain moisture during dry times, but keeps soil temperature up during cold spells. Also ideal a soil conditioner on heavy soils where its larger particle size opens up the soil. *Due to PH levels, Composted Bark is not recommended for use on soil areas containing Ericaceous plants. Spread a thick layer over the soil surface and using a fork work into the top 10 cm (4 inches) of the soil surface. When dug into clay (heavy) soil, Composted Bark will create a much more open structure and improve drainage. When dug into sandy soil, Composted Bark will improve soil structure and moisture retention. Composted Bark is ideal for mulching around trees and shrubs as well as your beds, borders and vegetable plots. 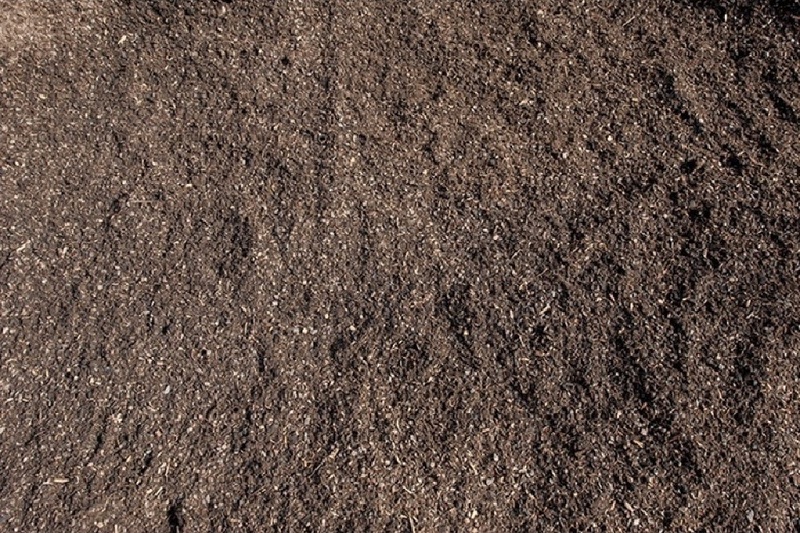 This mulch helps feed your plants, suppress weed growth, protect tender roots from frost damage and reduce moisture loss during dry conditions. Remove weeds from the area you want to mulch. Ensure the soil is moist and not frozen before applying. Spread a layer about 5-10 cm (2 – 4 inches) thick over the soil surface.